Karen Woodward: How Important Is It To Promote Your Books? The person who disagreed with me ... was convinced I didn’t know what I was talking about when it came to the necessity of promoting work, particularly for a new writer. The writer actually said that I had never had a point in my career where I was unknown, which made me laugh. Um, we were all beginning writers once upon a time. The writer challenged me to self-publish things under a super secret pen name, and was convinced I would understand then why new writers need to promote. I actually responded to this one—I usually don’t—because of the challenge, and because I’d met it years ago. I have four things up under four super-secret pen names, things which I put up with no promotion. One outsells everything I do under my name and my known pen names. One isn’t doing very well at all, and two are doing okay. All outsell some titles I have under the Rusch name. So I have met the challenge, plus some. Because I had to explain to this new writer that back in the Dark Ages of Publishing when I started, there was no such thing as Twitter, blogging, Facebook, and the like. If a writer wanted to promote her work, she had to spend more than her advance to do so. Because even back then, publishers didn’t promote 95% of the books they published. Those books would sink or swim based on sales in bookstores that might or might not carry the books. Some of my early work wasn’t even listed with description and a cover photo in the publisher’s catalog. Just a one line listing under “Also Available” which was arranged by genre. So how did a writer sell a lot of copies of her book? She wrote another. Back in the Dark Ages of Publishing, before the conglomerate bean counters got involved, most writers (even new writers) got a multibook contract. Because publishers knew it was the number of titles on the shelf that sold books, not the quality of an as-yet-unread single title, that got a reader to pick up a book. So I not only met the challenge in this new world of publishing, I met that challenge every time I had traditionally published a book with a brand new name on the spine. It's nice to know a writer can make a living using her craft without needing to promote. I wonder though, if Kris had promoted her work perhaps she would have sold even more books. I guess then the question would be: would she sell enough copies to make the promotion worth it. If, rather than spending time and money on the promotion, she had just written, would she have made more money in the end? I could see that being the case. Kris' post this week is wonderful, as always, and very encouraging. It follows her and Dean's theme of: Just write! I don't think we can get better advice than that. I disagree with Kris' post about not promoting books, but that might be b/c we disagree on what constitutes promotion. It's not just advertising and appearences, but also includes interviews, blog tours, and ginning up word of mouth campaigns. Some ways are simply more subtle than others, but a good businessperson does them all. And make no mistake, as indie authors, that's what we are - businesspeople. "And make no mistake, as indie authors, that's what we are - businesspeople." Well, then you are she agree on at least one thing! 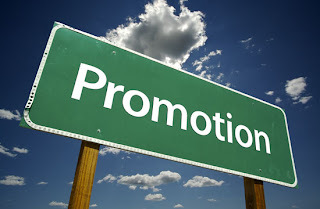 Book Promotion is a must, if you want to make significant sales. And the best place to start is the book's cover. A good cover always make a difference because it is the first thing people will see. Take for instance, the book "Lady Lawbreaker" by G.J. Fuller, one of the best books I ever read (You can see it's cover on Amazom.com); that book's cover hooked me instantly. It's simple, but really gets your attention. But yes, promotion IS necessary. I agree completely that a book needs a good cover. From the stories indie authors have been telling about their experiences, both good and bad, I'm becoming more convinced that Kris and Dean are correct about advertising. The best way to promote ones most recently published book is to write another. I suppose the proviso there is that it's under the same pen name and I suppose if it were in the same series that would be even better!